Loved, directly or indirectly, by one and all, moving and non-moving beings, Srimati Radharani, more commonly known as Radha, Radhika, Radhe and many other names, the eternal consort of Sri Krishna, has remained a mystery since millenniums. Some say She was the most beautiful gopi in Vrindavan among other gopis, who loved Krishna more than their very own selves. Others say She was an incarnation of Lakshmi devi, the eternal consort of Lord Vishnu. People also curiously discuss whether She was older than Krishna or younger, whether She was married to Krishna or not, and so on. 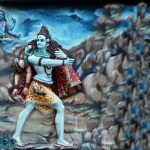 Radha is not what most people think, an ordinary village girl who fell in love with Krishna, or a mythological beauty, or, even worse, an imaginary icon of love. In an earlier article on the same subject matter I had quoted Srila Prabhupada’s lecture on September 18, 1969 in London wherein he has stressed on the fact that one cannot understand Srimati Radha or Her relationship with Sri Krishna unless and until one’s heart is completely purified of lusty desires. Before we go into the philosophical aspect of Srimati Radharani’s personality, let me share with you a beautiful event that took place at the palace of Her father, King Vrishabhanu. 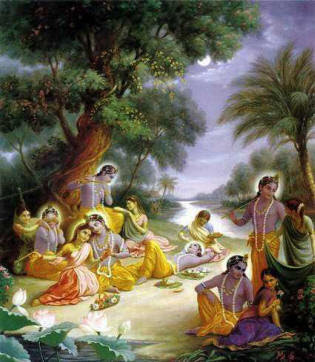 It is described that on a half-moon night in the month of Bhadra, King Vrishabhanu came to the Yamuna river to bathe and found himself engulfed in a golden aura. It was emanating from a divine lotus on which a baby girl was found! When the king, overjoyed with happiness, returned to his palace with the baby, queen Kirtida was delighted to see that astoundingly beautiful baby girl. After a few moments of observation, she was shocked to notice that the girl appeared blind. 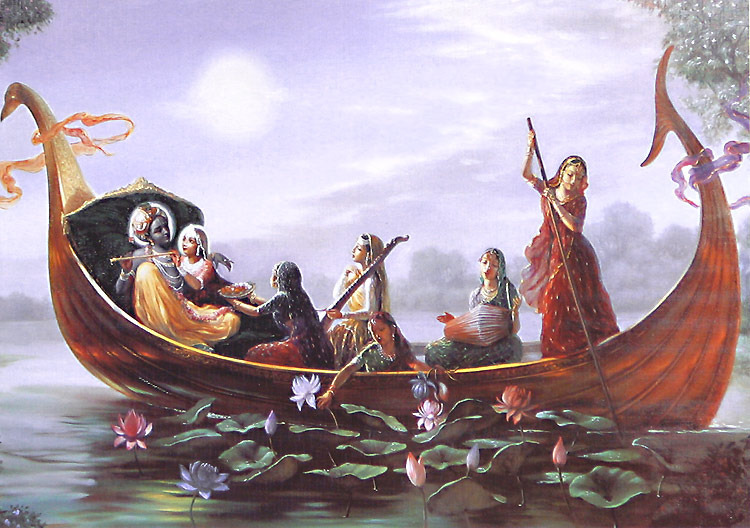 Now, one may wonder – how can a girl be found on a lotus flower floating in the river and that also with closed eyes? Yes She can! If we want to understand transcendence, we will have to have an open mind to hear from those who have seen it. 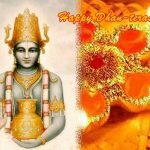 Vedic scriptures are apaurusheya, that which is not a creation of mortal beings. Unless we can see the transcendental activities of Krishna and His associates, we have to see them through Shastra-chaksu, the eyes of Vedic scriptures. When Krishna’s mother, Yashoda, heard that her best friend Kirtida had a baby, she came to visit her along with her husband and son. At one point, Krishna crawled up to the cradle and pulled Himself up and looked in. 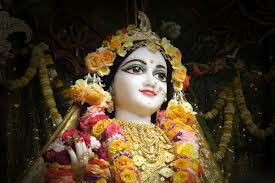 At that moment, Srimati Radharani’s eyes opened wide and blossomed like lotuses. Everyone was delighted. The reason why baby Radha didn’t open Her eyes prior to seeing Krishna is also mentioned in the scriptures. It is said that when Lord Krishna was going to appear on Earth, His eternal consort, Srimati Radharani, had asked from Him a boon that She would not have to see anything of this world until She first sees Him. Lord Krishna had granted it and so He came to see Her. 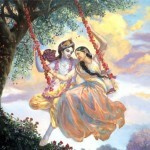 Radhastami, the appearance day of Srimati Radharani, comes 15 days after Janmastami, the appearance day of Lord Krishna. She is Kṛishna’s pleasure potency. Rādhā-kṛṣṇa-praṇaya-vikṛtir hlādinī-śaktiḥ. 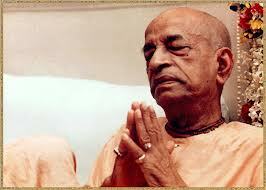 “We are trying to understand the chief potency of Kṛṣṇa. 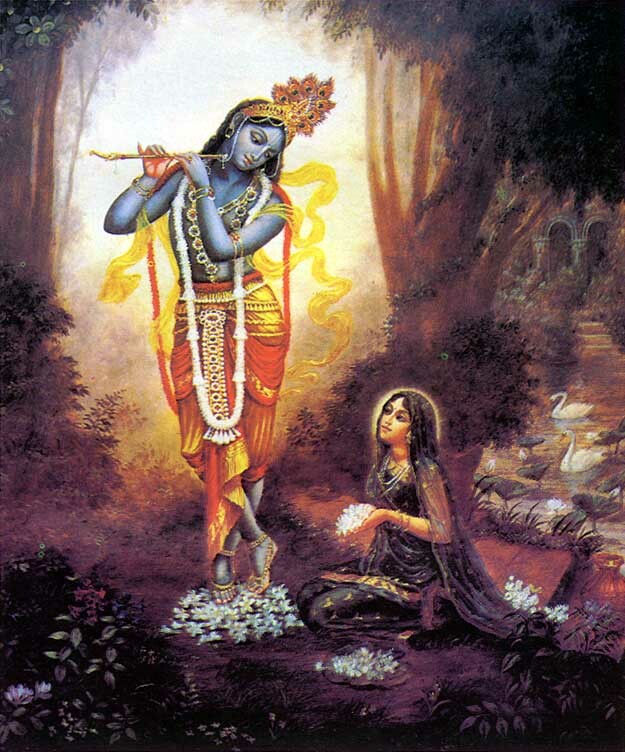 Rādhārāṇī is the pleasure potency of Kṛṣṇa. 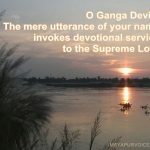 As we understand from Vedic literature, Kṛṣṇa has many varieties of potencies. Parāsya śaktir vividhaiva śruyate. Just like the same example, as a big man has got many assistants and secretaries so that he hasn’t got to do anything personally, simply by his will everything is done, similarly, the Supreme Personality of Godhead has got varieties of energies, and everything is being done so nicely. Just like this material energy. This material world, where we are now living… This is called material energy. Bahir-aṅga-śakti. The Sanskrit name is bahir-aṅga, external energy of Kṛṣṇa. So how nicely it is being done, everything in the material energy. That is also explained in the Bhagavad-gītā, mayādhyakṣeṇa prakṛtiḥ sūyate sa-carācaram: (Bg. 9.10) “Under My superintendence the material energy is working.” The material energy is not blind. It is… On the background there is Kṛṣṇa. 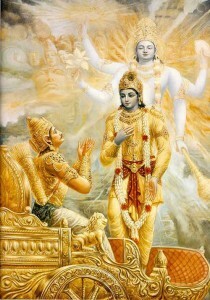 Mayādhyakṣeṇa prakṛtiḥ (Bg. 9.10). Prakṛti means this material energy. nal energy. Similarly, there is another energy, which is internal energy. “This process of devotional service is taught by Caitanya Mahāprabhu. Not that very easily, “We have seen Kṛṣṇa or seen Rādhārāṇī in rāsa-līlā.” No, not like that. Feel the separation. 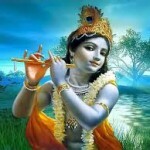 The more you feel separation from Kṛṣṇa, you should understand that you are advancing. Don’t try to see Kṛṣṇa artificially. Be advanced in separation feeling, and then it will be perfect. That is the teachings of Lord Caitanya. Because with our material eyes we cannot see Kṛṣṇa. Ataḥ śrī-kṛṣṇa- nāmādi na bhaved grāhyam indriyaiḥ [BRS. 1.2.234] With our material senses we cannot see Kṛṣṇa, we cannot hear about Kṛṣṇa’s name. But sevonmukhe hi jihvādau. When you engage yourself in the service of the Lord… Where the service begins? Jihvādau. The service begins from the tongue. Not from the legs, eyes, or ears. It begins from the tongue. Sevonmukhe hi jihvādau. If you begin service through your tongue… How? Chant Hare Kṛṣṇa. Use your tongue. Hare Kṛṣṇa, Hare Kṛṣṇa, Kṛṣṇa Kṛṣṇa, Hare Hare/ Hare Rāma, Hare Rāma, Rāma Rāma, Hare Hare. And take Kṛṣṇa prasādam. The tongue has got two business: to articulate sound, Hare Kṛṣṇa; and take prasādam. By this process you’ll realize Kṛṣṇa. Did you know this about Gita Jayanti?